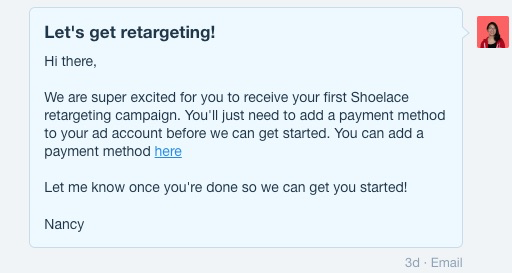 In order to receive ad campaigns from Shoelace, you need to add a payment method in TWO places. In your Shoelace App (You can add this in the Settings of the App). This is for your subscription fee once your trial expires. 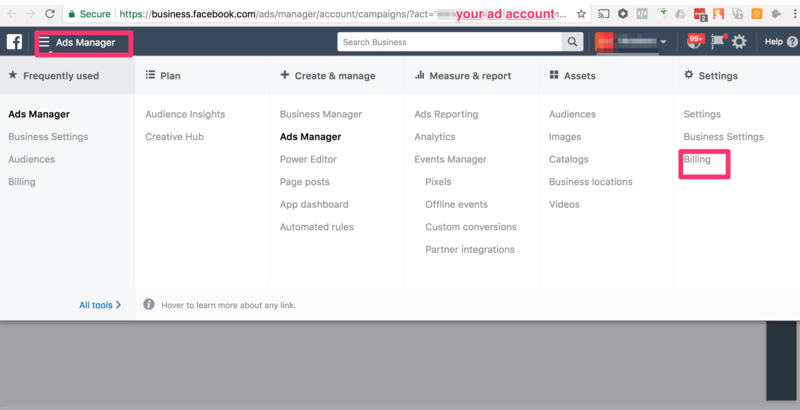 In your Facebook Ad Account. Because Shoelace offers our ad creation and management services in your own Facebook ad account, this Facebook ad account must have the funds to pay Facebook for any ad-spend the campaigns will generate. We are unable to generate campaign previews to send your way until a payment method is added. 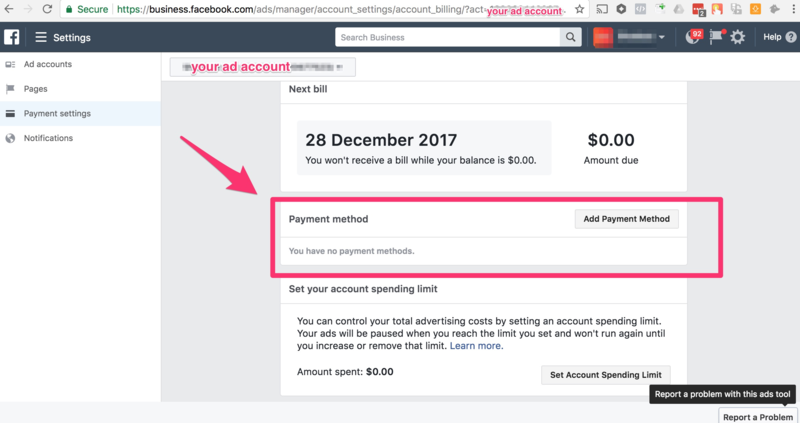 Please note even if you have a payment method under your Business Manager, this does not automatically apply to your Ads Manager. Here's a help video if you'd prefer to use it. Once you have added the payment method, please contact us so we can get your campaigns started :). You swear you added the payment method already! --> Perhaps you connected Shoelace to a different ad account than you wanted? 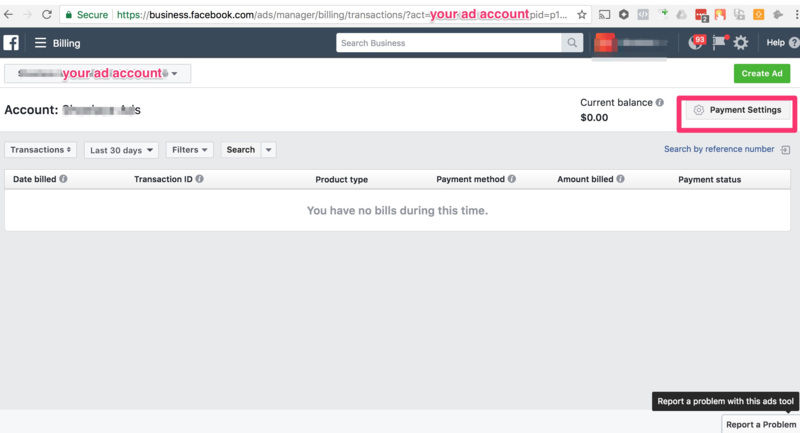 Another reason this happens is that you mistakenly created a new ad account for Shoelace ads, instead of connecting to your current ad account. You can check which ad account you are connected to in your Shoelace Settings. If unsure, contact us and we can let you know which ad account we are connected to :).